TICKETS: $15 in advance | $20 at the door | on sale now! We’re excited to announce the 2019 festival, now on a new weekend, and back at our perennial home: the Beat Kitchen. Tickets are on sale now–make sure to get ’em ahead of time to save $5! Lineup and schedule TBA. 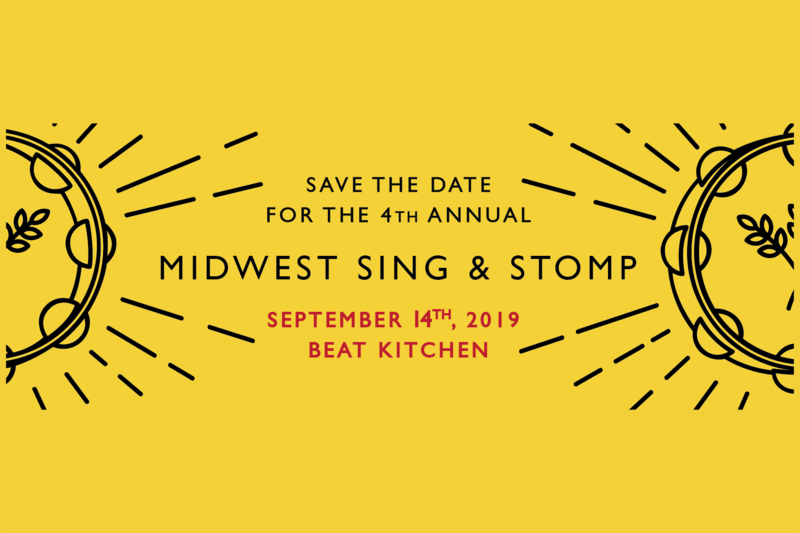 Like the Midwest Sing & Stomp Facebook page for the latest programming announcements! Interested in volunteering? Shoot us an email to sign up for a four-hour shift, and get free admission to the whole day.